Houston, TX – – The National Women’s Council is proud to honor Myrtle Jones with the 2016 Houston Woman of the Year award, which will be presented at the Houston Women’s Conference on September 29, 2016. Jones is the Senior Vice President of Tax at Halliburton, one of the world’s largest providers of products and services to the energy industry. With more than 30 years of experience in international and domestic tax compliance and strategic tax planning, Jones has undoubtedly proved that she is deserving of such a distinguished award. The Woman of the Year award is reserved for a woman who has achieved extraordinary goals in her organizations despite all odds. This woman possesses the ability to overcome the greatest of obstacles, resolve problems, and also lead her peers on the path to success. In addition to being committed to her professional goals, a Woman of the Year awardee is committed to advocating for truly inclusive work culture. After earning a Bachelor of Accounting from Mississippi State University, Myrtle Jones began a flourishing career in the energy business with ExxonMobil. Following five years at that company, she secured a position with Global Marine. Though Jones took a big risk in accepting employment at a company in the midst of bankruptcy, she attributes here experience here that prepared her for her future executive roles. By the time she moved on from her role as Vice President of tax, Global Marine was an $8 billion company. 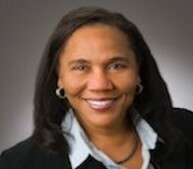 Jones entered into her current role as Senior Vice President of Tax at Halliburton in 2013. In this role, she leads a 100-plus-employee global tax department responsible for tax compliance, planning and accounting. Myrtle Jones has also positioned herself as a dedicated leader in her community. She currently serves on the board of directors for Genesys Works Houston – an organization dedicated to fostering opportunities for disadvantaged high school students by enabling them to work in meaningful internships at major corporations during their senior year in high school. Jones also serves as executive sponsor for the Halliburton African American Network Forum – an employee resource for African American employees and others who wish to advance professionally through networking and knowledge sharing and serves on the Dean of Business Advisory Board at Prairie View A&M University.